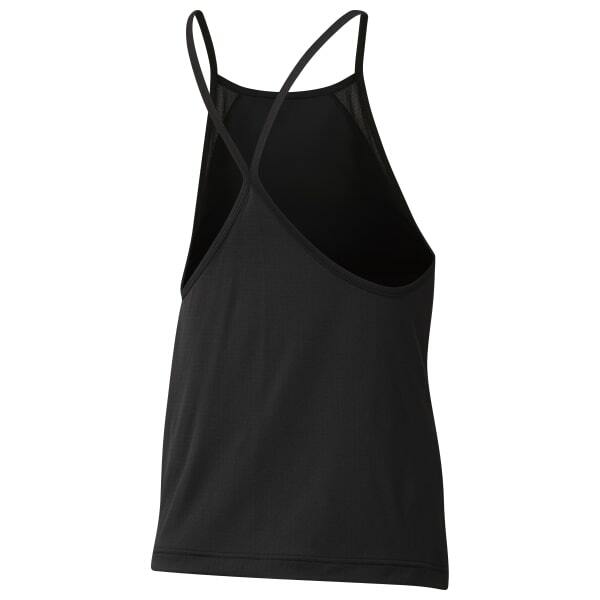 Meet the demands of high-intensity workouts with the sweat-wicking design of this women's tank top. The racer-back fit encourages total mobility, and breathable mesh details help cool you down. Thin straps give it a feminine look and feel. It features a LES MILLS graphic on the chest.